This is the first time Abhishek is collaborating with Taapsee and Vicky for a project. 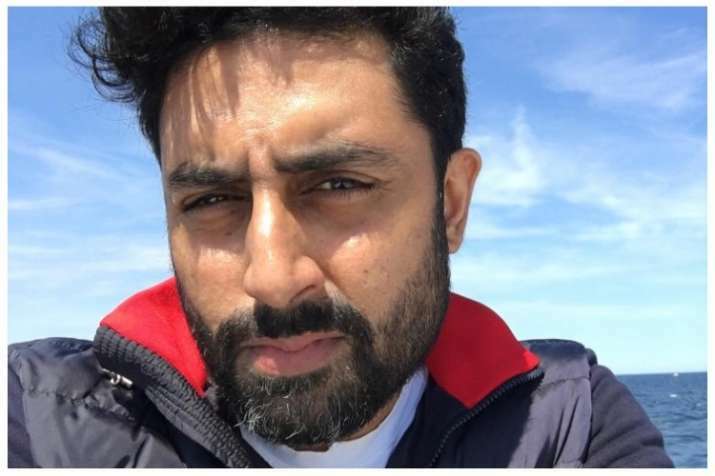 Actor Abhishek Bachchan is facing the camera after two years for his film Manmarziyan and he shared a post on social media asking fans for their good wishes. Abhishek on Friday tweeted: "It's been just over two years since I faced a film camera -- A new journey, a new film begins today. Need your good wishes and blessings. 'Manmarziyaan'." A day before, the actor had shared a photograph of the film's script and captioned it: "Almost time". The film is directed by Anurag Kashyap. It also stars Taapsee Pannu and Vicky Kaushal. This is the first time Abhishek is collaborating with Taapsee and Vicky for a project. Due to the work, he was unable to become the part of Holika Dahan. Amitabh Bachchan with Aaradhya and Aishwarya celebrated Holi and shared the pics on social media whereas Abhishek gave it a miss. On a related note, Abhishek has done films like Happy New Year, Dhoom 3, Bol Bachchan and many more.